Runny nose, headache, facial pain, congestion – the list of symptoms goes on. You’ve got a persistent cough that just won’t go away. In fact, it only seems to be getting worse, especially at night. You’re experiencing a diminished sense of smell and a persistent nasal drip. Hoarseness in your voice is impacting your ability to work. 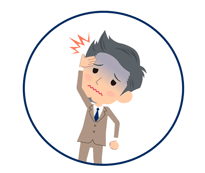 Headaches, a sore throat and facial pain add even more unwanted discomfort. You can’t sleep, feel rested, or enjoy normal daily activities. What’s causing all of this misery? The answer may be that you are suffering from sinusitis (or a chronic sinus infection). When swelling and blockage in the sinus cavities (around the eyes and nose) occurs, the sinuses can become a breeding ground for bacteria and viruses, leading to infection. For most sufferers, this infection can be treated with first-line home remedies or OTC (over-the-counter) medications. 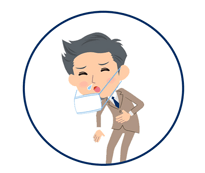 If you find yourself experiencing lengthy periods of sinus pain or recurrent symptoms, you may be stuck in a cycle of chronic sinusitis and sinus infection. In most cases, sinus infection symptoms persist for about ten to twelve days. The infection usually resolves within the course of a month. Sufferers will experience headache, pressure and swelling as the infection runs its course. This is known as acute sinusitis. 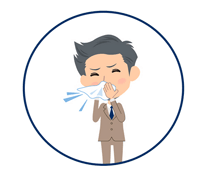 When chronic sinusitis strikes, sufferers will find themselves miserable for longer periods of time with unpleasant symptoms such as green or yellow nasal discharge, a fever, persistent coughing which may worsen at night, and irritated, puffy or watery eyes. When the cycle of sinus infection continues with four or more episodes in a single year, this is known as recurrent acute sinusitis. Patients are treated with medications or antibiotics, and inconvenienced by multiple trips to the doctor without finding any relief. If you’re tired of being tired and miserable due to sinusitis, learn more about treatment options available from the sinus care professionals at Ear Nose Throat & Sinus Center of Orlando. Now treating Florida chronic sinus sufferers in Orlando and Winter Park. "Dr. Boger is very professional & knowledgeable with an amazing bedside manner." I have full trust & faith with his guidance in making the best decisions for me.